ESCAPE ROUTE TO UNCERTAINTY | Thoughts of a Calabarboy. 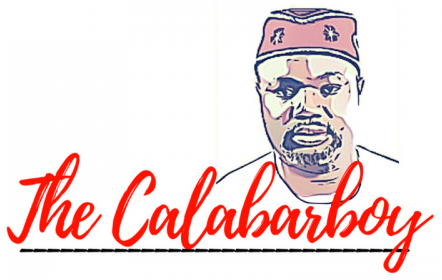 ESCAPE ROUTE TO UNCERTAINTY – Thoughts of a Calabarboy. I was dismayed this morning when I heard the news of some Nigerian illegal migrants who died in a boat mishap off the southern coast of Spain. They were of course trying to get into Spain, about a 100 of them including 2 pregnant women. As at now only 23 have been rescued and over 60 confirmed dead. In such a situation who do we begin to blame or what do we place the blame tag on? This is a simple indication that if a 100 met their Waterloo in a bid to find a better life, probably a 1000 or more make their way illegally across to uncertainty. We keep hearing of the Spanish government deporting sending back several boats attempting to cross over and even deporting those that made it. We must remember that these desperate individuals have already lumbered their way through the sahara deserts, determined to reach the land of the golden sun. What pushes these individuals or what draws them seems to be agreeable by all those who hear of their fate: Nigeria has nothing to offer them thus it behoves upon them to seek a better life where it can be found, by hook or crook. You can be sure that this is one singular explanation you can get all Nigerians to agree on. From my recent musings however, I have taken time to rethink many of the circumstances which Nigeria presents to those who wish to analyse its issues. And this issue of illegal migration is certainly one of which I choose not to approach as common as we have before time made it seem. There is something beyond the discordance in the nation that acts as a push or pull factor for these individual who seek every possible tunnel of bolting. I agree that the life across may be lush and that behind harsh, and those this may be a necessary condition but is it sufficient for dare-devil acts such as these? Leaving one condition for another should be predicated on the satisfactory knowledge of what obtains in the destination. But what I see is that this is not the case. Nigerians, heavily blinded by the quest to survive, abandoned the noble virtue of judgement and foolishly embark on a journey through an escape route to uncertainty. The argument or notion that Nigeria has to offer now is lame and at best simplistic. This is because in the last 4-5years, Nigeria ranks among the 20 countries in the world experiencing rapid growth. Opportunities are breaking forth and many are changing their status and class in society. With all its glaring short comings, in Nigeria there is currently the remoulding of a middle class and increasing number of upwardly mobile citizens are gaining entrance into the corridors of the economy. The amount of foreign direct investment in Nigeria has shot up in recent times and both small and medium scale investors are leveraging their skills in a moist system. Any dude who is blind to these factors for growth and development, and is still seeking in ‘Sokoto’ what is the ‘Shokoto’, must be compared to the circus Elephant. While young men are exploiting openings in the economy and testifying to possibilities, others are numbed by sights and sounds of glamour and comfort, flashed by the western media. And like a persistent fly flirting with a hot bowl of pepper-soup, we know the probable end of these fleeing friends. Let me state very clearly here that we are wiser now to know that nothing works for you except you work a it. Even when you find a system where everything works, it still will not deliver value to you until you plough through its provisions. Deception is at work in our young people. This is why many are ready to leave a present discomfort for uncertainty. It is amazing how much faith they have about succeeding in an uncertain future, but have no faith in the possibilities of the now, whereas both require the same level of internal convictions. So please can someone trap down their relations about to fall into the error of misguided judgement. I will however not exonerate the government from this issue as well. While we still have unpatrolled borders and points of exits, we have also not looked at appropriate policies that will hold down young people from engaging in illegal immigration constituting a problem for other countries and further smudging the already hideous image of Nigeria. I know we have the capacity to absorb these individuals and make them have a meaningful existence, but what draws them is beyond what government can legislate on. So while I charge the government to make the country look better than where our children are escaping to, I also charge our children to stop risking their lives to find what they already have. If you care to till your earth you will find a life.